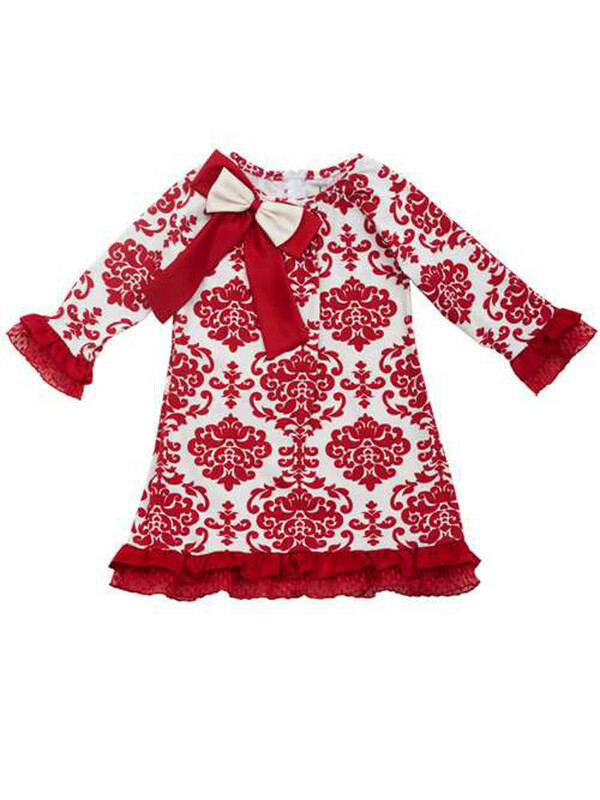 She'll look darling in this toile Red Holiday Dress. This adorable Red and Ivory Toile dress is simple and classy for this upcoming Holiday Season. Toile Christmas Dress features a satin bow at shoulder and mesh red trim!